We are no longer accepting bookings. Sorry for any inconvience. 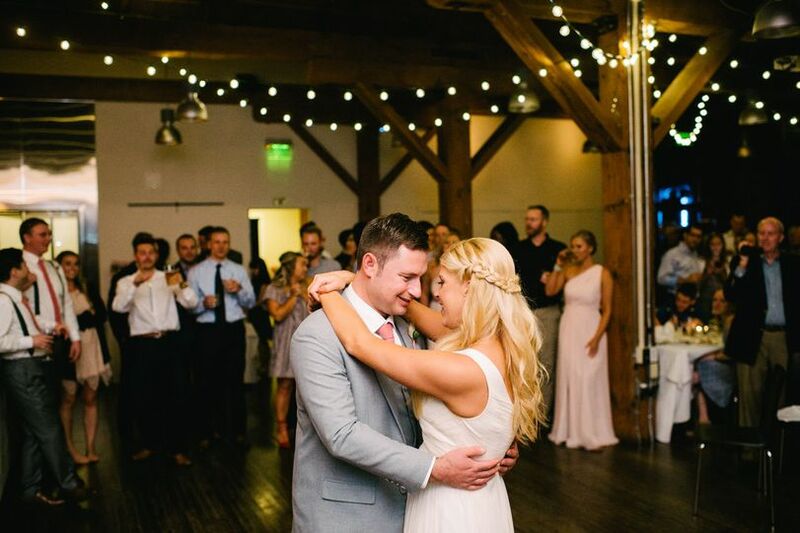 The BridgePort BrewPub is a historic brewery where couples can host their wedding in the Portland, Oregon area. 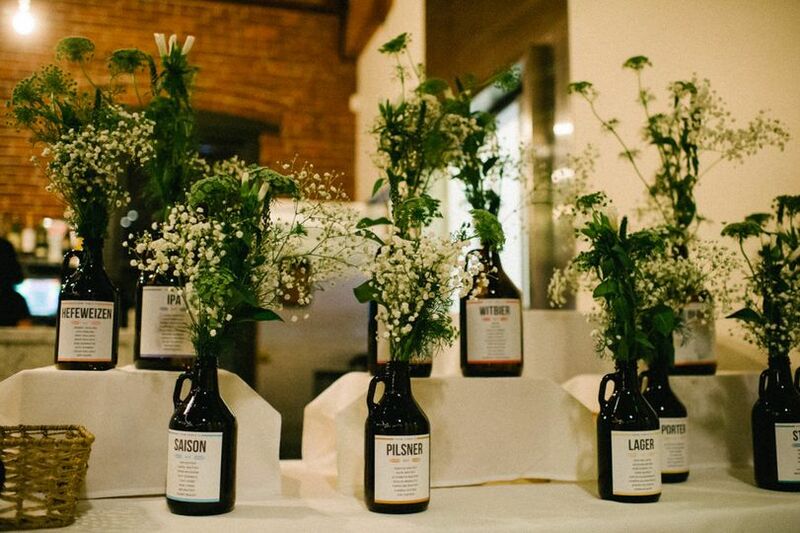 This city venue blends the best of modern and industrial touches throughout the space, including a reception hall with exposed brick and wooden beams, and an authentic brew room for privacy and portraits. 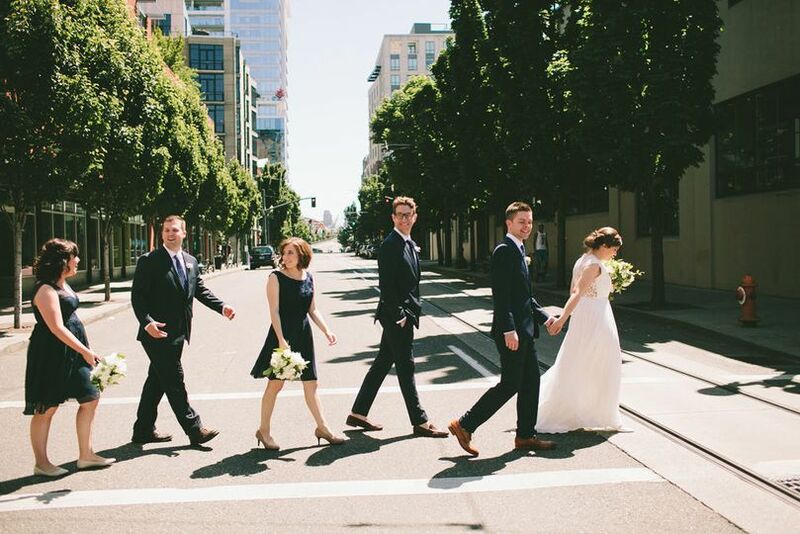 This venue is located in downtown Portland, just 10 minutes from the Portland Art Museum. 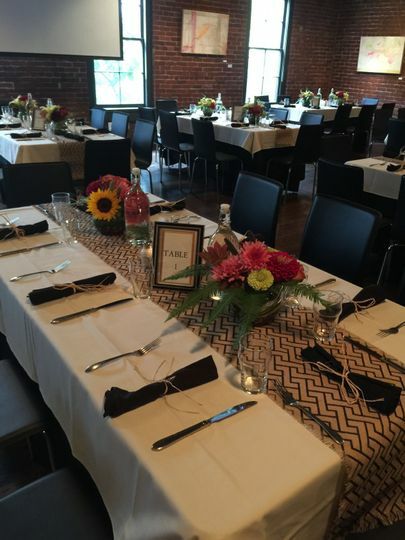 Couples can invite up to 100 guests to their wedding at BridgePort BrewPub. This historic venue, a landmark in the city and popular tourist destination when it’s not hosting weddings, features two rooms that couples may use for their big day. 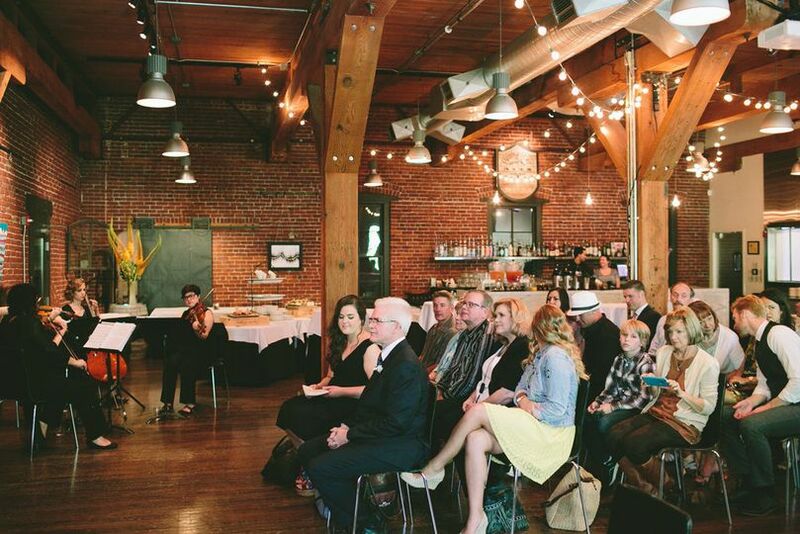 The Heritage Room is an open space for couples’ wedding events. It features exposed brick walls and heavy timber beams. When market lights are strung up overhead they reflect romantically in the polished wooden floors. 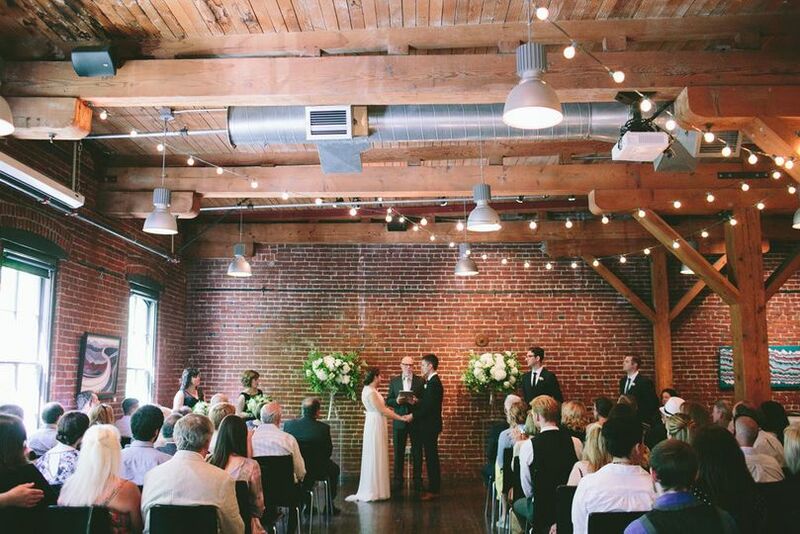 Couples can use this space for ceremonies, receptions, or other celebrations. The Old Knucklehead Room contains the beer tanks used for creating the BridgePort BrewPub’s brews. 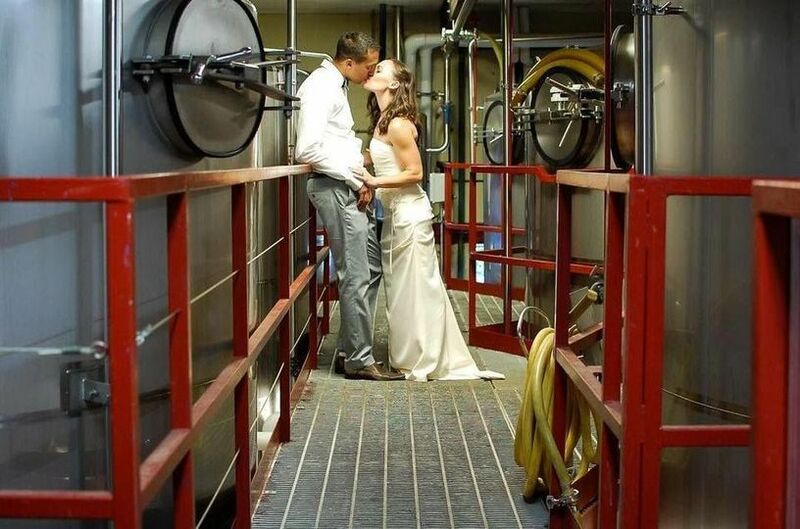 This room is perfect for couples who want to sneak away and express their love of ales through intimate portraits. 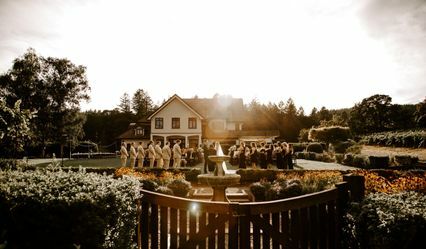 This venue welcomes couples for all types of wedding-related events. 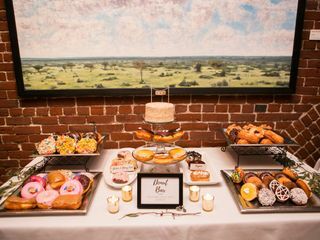 This includes ceremonies and receptions, but also bridal showers, elopements, engagement parties, and rehearsal dinners. 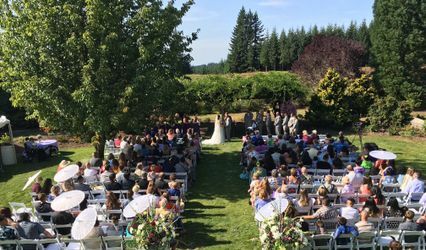 The knowledgeable event staff at this venue helps couples with event planning for their big day. They offer clean up and setup services, as well as liability insurance. 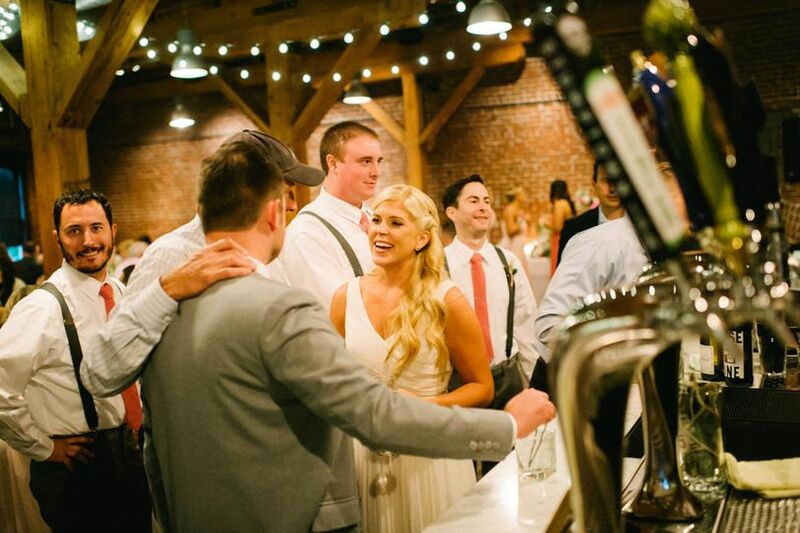 Couples can ensure their vendors know the venue with in-house bar and catering services provided by the BridgePort BrewPub. Guests will love the onsite parking and wireless Internet found at this venue as well. I would like to start this off by saying we did not use this venue. For reason that couldn’t be helped, we are eloping. HOWEVER, working with Barb was honestly the best experience I had out of any of the vendors I was in correspondence with. Straight to the point, polite, knew all of the right questions, and was super flexible when it came to scheduling. If I have an event in the future, you can bet that it will be held here. * Kyle and Chance were outstanding hosts for our event. Many of our guests commented on just how attentive they were. Big smiles, a total focus on delighting their guests and the willingness to go above and beyond are just a few things I would say about them. * The food was perfect. I was struggling with all types of dietary restrictions and everyone left very well fed and satisfied. Your team packaged and sent vegan food home with vegans and the rest went to the houses where the bride's friends were staying. NOTHING went to waste (actually everything went to waist!) which was exactly what my daughter wanted. * Finally, Barb Lee was amazing as a coordinator and so helpful to me as I was on the east coast planning this. The timing was perfect and left room for us to flex as needed. 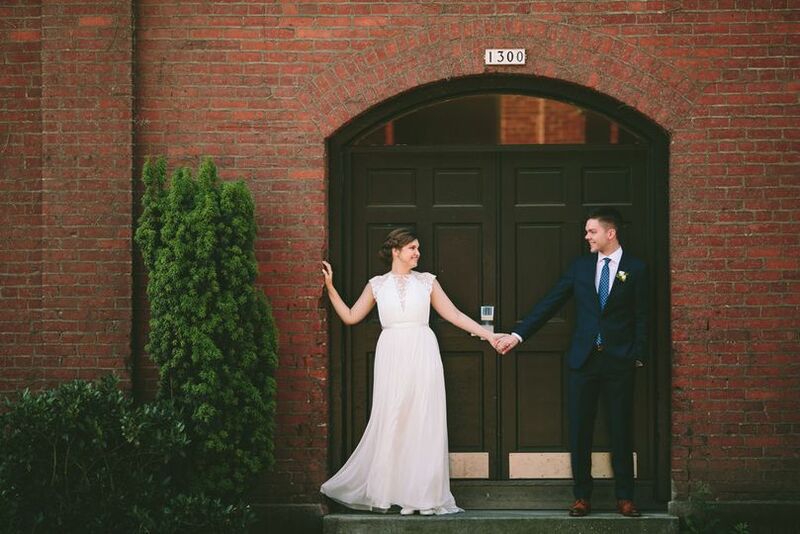 She was knowledgeable yet patient and gave me great confidence that we had built a solid plan that would welcome all of our guests to Portland with a splash. Most guests stayed until absolute end and yes we consumed nearly every penny of our bar budget but she guessed that correctly as well. We will be back. Wonderful place. 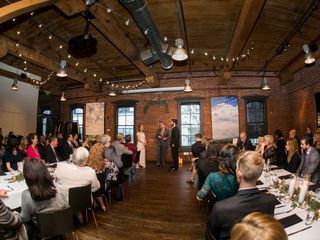 We had our rehearsal dinner here at Bridgeport. Delicious appetizers, and amazing beers and wines. The bar staff kept the cocktails flowing for me and my husband all night long. A beautiful space with twinkling lights and a microphone. Would absolutely recommend!